Salem Alshdaifat’s attorney also filed an omnibus motion in the matter of U.S. v. Khouli et al. He claims that his client was a broker or middleman who did not participate in the importation of the cultural objects that are part of the criminal case. He seeks to dismiss all counts of the indictment against Alshdaifat; suppress physical and digital evidence; suppress post-arrest statements of his client; have an evidentiary hearing to resolve any factual disputes related to the motions; compel the government to produce expert witness discovery; provide notice of any “prior bad acts” evidence; and have permission to join in motions filed by Joseph A. Lewis, II. “The federal smuggling statute … has been interpreted by federal courts to mean different things depending on where a defendant conducts his business. Mr. Alshdaifat could not be charged with a smuggling crime had the merchandise been mailed to New Jersey, Pennsylvania, or Delaware because the Third Circuit has ruled since 1994 that Section 545 requires an intent to deprive the United States of revenue. In this case, the merchandise involved in the Section 545 offenses are classified as 'antiques,' and under the Harmonized Tariff Schedule of the United States, Heading 9706, they are duty free. Thus, in the Third Circuit, there would be no crime here. However, in the Second Circuit [covering New York], the Section 545 smuggling crime has been more expansively interpreted to cover conduct beyond an intent to defraud the United States of its right to revenue. 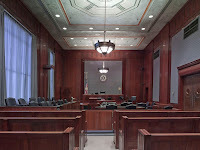 Given that the courts cannot agree on the meaning of this statute, ordinary people will find it difficult to understand what conduct is actually prohibited by the statute.” (Citations omitted). Alshdaifat’s lawyer adds that “the current expansive interpretation in the Second Circuit of Section 545's ‘intent to defraud’ provision is unconstitutionally vague,” requiring dismissal of charges against the defendant. Improper venue is also argued as a basis for dismissing the charges. Counsel for Alshdaifat contends that points of entry for certain goods that are the subject of the indictment are not articulated, or that points of entry mentioned in the discovery materials specifically relate to places outside the Eastern District of New York such as Manhattan or Connecticut. Alshdaifat’s motion additionally argues that evidence must be suppressed that was derived from “defective” search warrants granting seizure of emails. Alshdaifat’s lawyer claims that one warrant lacked probable cause for the government to believe that “evidence of a crime would be found within the Alshdaifat Yahoo! e-mail account.” “This request … was quite expansive and intrusive. It sought authorization to search literally tens of thousands of e-mail communications of several individuals.” Alshdaifat’s lawyer adds that the Magistrate issuing the warrant was “misled.” A second warrant authorizing the search and seizure of emails must also be struck down, it is argued, because it is tainted by the fruits of the first search warrant. Meanwhile, federal agents’ search of Alshdaifat’s Michigan home is alleged to be improper because the magistrate's warrant was based on tainted evidence, the warrant was unconstitutionally overbroad, and the agents who executed the warrant went beyond their authority. The evidence gathered must therefore be suppressed. Alshdaifat’s lawyer takes pointed aim at statements made in the warrant affidavit by one Immigration and Customs Enforcement (ICE) agent, which describe a past allegation of smuggling by Alshdaifat in Detroit. “The Agent's account of this incident is emblematic of the reckless way the government conducted this investigation and how they repeatedly misreported information to force the ‘facts’ to fit their theory,” writes counsel. “The Agent's rendition of the incident at Detroit Metro Airport with Mr. Alshdaifat should not contribute to a probable cause showing to invade his home because it does not suggest crimes involving violations of Customs laws or the National Stolen Property Act.” (Citations omitted). Moreover, it is argued that statements made by Alshdaifat to authorities should not be introduced at trial because the defendant was represented by legal counsel when authorities questioned him outside his home in Michigan. The attorney writes that “Mr. Alshdaifat requested the opportunity to call his lawyer, and was denied. Under these circumstances, Mr. Alshdaifat did not voluntarily waive his right to have counsel present at his post-arrest interview and his statements were far from voluntary. Moreover, because at the time of his arrest, Mr. Alshdaifat was already under indictment in the Eastern District of New York and represented by counsel on matters related to that indictment, the government also violated his attached Sixth Amendment right to counsel.” (Citations omitted). The prosecution will have a chance to respond to the omnibus motions filed by Lewis and Alshdaifat.